fried chicken | Remains of L.A.
After watching the commercial from Tapeheads in preparation, I headed out to Roscoe’s Chicken and Waffles for dinner with David (my husband) and our dear friend Terry. 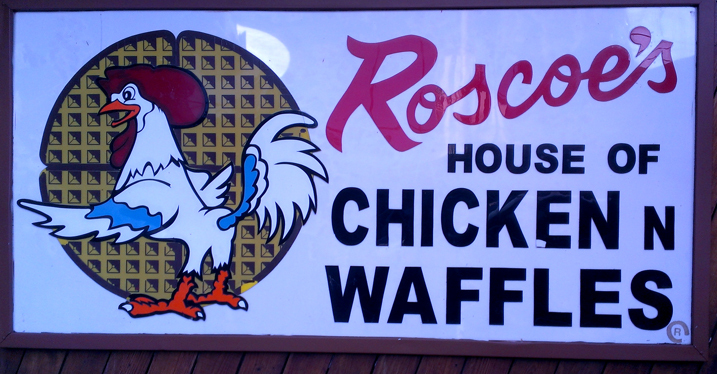 Categories: Restaurants | Tags: 1975, fried chicken, historical L.A., hollywood, Los Angeles, retro, vintage | Permalink. I walked to Dinah’s Fried Chicken for lunch; I figured I’d need the exercise to make up for the eating I was about to do. I grew up on the edge of the South, and sometimes right in it, and Dinah’s made me feel wonderfully comfortable and happy. Everything that is charming about southern decorating is crammed into this one room. -Red walls and wooden tables, pretty wooden chairs, ceramic chickens and pictures of chickens everywhere. Painted along the top of the wall are pictures of open windows with flowerpots, which should be corny but somehow isn’t at all. 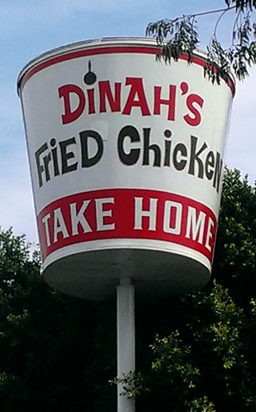 Categories: Uncategorized | Tags: 1967, fried chicken, Glendale, Restaurants, Southern | Permalink.